Hit by the downturn of the economy and a deep slide in American tourists, Montreal’s restaurant Taverne Crescent, located on Crescent street in the downtown area, is trying a new strategy to bring back customers: pay what you want. So yesterday, lunch-hour customers were given the choice of an appetizer, plus either tagliatelle bolognese, salmon or braised beef, and coffee or tea, for whatever they wanted to pay. For a dollar even. Or nothing. George Pappas, the owner of the restaurant, says there is no catch for the ‘pay what you want’ deal. The restaurant is just trying to bring the ‘joie de vive’ back to the city. The deal is from Monday to Friday between 11 am and 3 pm. This move follows a similar one this month by the London restaurant The Little Bay, and two years ago by the American restaurants One World Café in Salt Lake City and SAME (So All Might Eat) Café in Denver. Posted: February 25th, 2009 under News. We know that an adequate intake of calcium benefits bone health, but according to a new study published in the Archives of Internal Medicine, it appears that it may also lower the risks of digestive cancers, and particularly colorectal cancer (colon cancer). Researchers at the National Cancer Institute analyzed data from half a million men and women over a long period of time who participated in a diet and health study. Those records were then linked to cancer registries. The men who consumed the most calcium had a 16% lower risk of those types of cancer, while women who consumed the most calcium reduced their risk by 23%. Posted: February 24th, 2009 under Health, Research. Last week I was experimenting with Polyphasic Sleep, and specifically the Uberman sleep pattern (read more on Polyphasic Sleep in my other post here) which consists of a 20 minute nap every four hours. One thing I noted during my trial is how my iPhone made this experiment easy for me. For the Uberman sleep, you need six reminders for each nap during a day, along with six timer alarms to make you wake up from the naps. 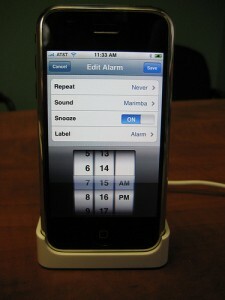 Setting up those reminders/timer alarms would be so annoying if your alarm only handles one setup a time. Luckily my iPhone made it very simple for me. I could setup in parallel six timer alarms which were always on, and post six reminders for my naps repeated every day, with two alerts five and 15 minutes before each nap. I absolutely didn’t need to get worried about my naps neither about waking up from them. Though you might hate the iPhone, it will be your best friend if you get to be a polyphasic sleeper, unless you need an ear-popping alarm to make you wake up from those comatose naps! Posted: February 21st, 2009 under Thoughts. Since I was first exposed to sand animation in 2004, I have admired Ferenc Cakó the most between all artists in this field. This post serves as an introduction to him, and shows a fascinating video of one of his performances. Ferenc Cakó (born 1950) is a Hungarian artist, animator, painter, and film maker whose specialty is performing sand animation. He was awarded the Merited Artist and Outstanding Artist awards of the Hungarian People`s Republic in both 1989 and 1999 respectively. During his 30 years of film making, he has won all the main prizes of film festivals all over the world, from Cannes to San Francisco, and from Annecy to the Oscar nomination. Apart from his film making skills, he is the avant-guarde of live sand animation. His individual and special sand animation show is very popular all over the world. It is usually performed in theaters, TV shows and at exclusive events. Sand animation is done on stage, where people can see Cakó actually doing the performance. He performs in total darkness, while the picture is projected into a high resolution video projector. Posted: February 19th, 2009 under Arts. I have recently been introduced by a friend of mine to a new fruit named Açaí. It has only been exposed to the West a couple of years ago. Since not too many people have heard of it, I decided to introduce it here, with an emphasis on its extraordinary antioxidant effect and its benefits to our health. Açaí is a fruit that grows on the Açaí Palm Trees in the Amazon rain forest of Brazil. The Açaí berry is small in size (smaller than a grape) and is dark purple in color. Açaí is mostly seed, covered in a small amount of pulp. In fact, about 80% of the Açaí berry is seed, which is not eaten. While Açaí may be small in size, it packs a nutritional punch unlike any other food in the world. Açaí is one of the highest antioxidant fruits in the world. Açaí has 10 times the antioxidant level of grapes and twice that of blueberries. Açaí has 10 to 30 times the Anthocyanins of red wine. The Açaí berry is very rich in healthy Omega fats. Nearly 50% of the Açaí berry is fat - with 74% of the fat coming from healthy unsaturated fats such as Omega 3, Omega 6 and Omega 9. Açaí is also a good source of proteins. 7.59% of the weight of the Açaí pulp is from amino acids. 19 different amino acids have been identified in Açaí . Since amino acids are the building blocks of protein, it is no surprise that you have over 8 grams of protein in a 100 gram serving of Açaí . Moreover, it contains a lot of vitamins and minerals. Vitamins A, B1, B2, B3, C and E are all present in Açaí . In addition, potassium, calcium, magnesium, copper and zinc are all found in Açaí . As for fiber, there are about 14 grams of fiber in every 100 grams of freeze dried Açaí powder. Due to their high content of fat, Açaí berries will go rancid very quickly, usually in a day or two. Therefore, if you don’t live in the Amazon rain forest, getting fresh Açaí berries can be close to impossible. But to get it to the West, Açaí can come in two forms and at a very expensive price: frozen pulp or freeze dried powder. 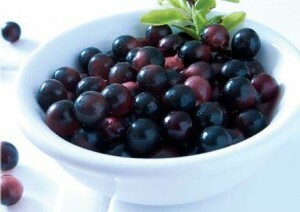 For more information, you can find a detailed report on Açaí at the PowerSupplements.com website. Some scientific studies made on Açaí can be found at the AcaiHealthInfo.com website. Posted: February 18th, 2009 under Health, Knowledge. We are all made up of atoms. Atoms that have a full outer shell of electrons tend to be stable. Atoms that do not have a full outer shell of electrons want to get another electron very badly so they can be stable and inert. These unstable atoms are called Free Radicals. Free radicals tend to move quickly to try to steal an electron from whatever molecule happens to be around them. Of course, whoever they steal an electron from becomes a new free radical and the process is like a domino effect. Our body performs many functions and there will always be some free radicals created. However, if the level of free radicals gets too high in the body, you can run into major problems. Numerous diseases and health issues have been linked to high levels of free radicals. One of the more common types of free radicals are oxygen free radicals. These are oxygen atoms missing an electron. You know that rust you see on the side of your car - well the same thing basically happens inside our body. Oxidative stress is what it’s called when oxygen free radicals start to cause damage in your body. Breathing, eating, moving - basically living! Yes, basically any stress we put on our body can cause free radicals. While obvious things like polluted air, smoking, stressful events and unhealthy foods can cause free radicals - many “healthy” activities can also create free radicals. Almost any type of exercise will put stress on our body, and all this stress on our muscles creates free radicals. So, how do you turn a free radical into a harmless cell? You give the free radical the extra electron it so desperately wants. What substance can supply this extra electron? You guessed it - antioxidants. Antioxidants are any substances that prevent or slow the oxidation process. Remember, free radicals cause oxidation - and antioxidants prevent oxidation. 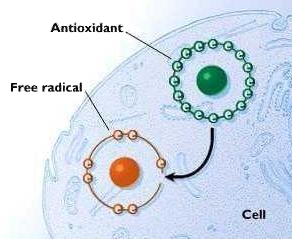 Antioxidants work by donating an electron to a free radical so it becomes a stable oxygen molecule. Who has controlled the Middle East over the course of history? Pretty much everyone. Egyptians, Turks, Jews, Romans, Arabs, Persians, Europeans etc… the list goes on. Who will control the Middle East today? That is a much bigger question. Note: the events shown in the video are only till 2006. Posted: February 16th, 2009 under Cultural, Knowledge. The Swedish company ProMedVi is introducing a new gadget called Vibrosphere for those eager to lose weight in half the time. The gadget combines two recognized methods of training: balance and vibration training. According to the company, the tactile stimulation under the feet in combination with the element of balance can lead to a rapid improvement in proprioception and consequently balance. The vibrations also increase activity in the neuromuscular system through involuntary muscle contractions which contribute to an improved musculature performance and interplay between the muscles and the nerves. Posted: February 12th, 2009 under Health, News. Past research has shown that following a Mediterranean diet can help protect from heart diseases and diabetes, but now there is a new evidence that it could protect your brain as well. The study, performed by doctors from Columbia University, followed 1800 seniors over a five year period. One of the things it found is that people with no memory problem, who followed a Mediterranean diet, reduced their risks of developing cognitive impairment by 28%. Those with some memory problems reduced the risk of developing a full blown Alzheimer’s by half. Posted: February 11th, 2009 under Health, Research. Researchers from the Fred Hutchinson Cancer Research Center in Seattle have just found that frequent or long-term marijuana use can significantly increase a man’s risk of developing the most aggressive type of testicular cancer. The team interviewed 369 men with testicular cancer, in the Seattle area - mostly in their 20s and 30s - about their history of marijuana use. Even after other “lifestyle” factors such as smoking and drinking as well as risks such as a family history of the disease, cannabis use emerged as a significant possible cause, the study published in the journal Cancer concluded. But they emphasized that their results were not definitive and called for further studies. Sleep apnea is a sleep disorder characterized by pauses in breathing during sleep. It affects three times more men than women. The individual with sleep apnea is rarely aware of having difficulty breathing, even upon awakening. Snoring and daily fatigue are the common symptoms of this disorder. Toronto researchers suggest that people who sit for long periods of time, like working on a computer, accumulate fluids in their legs during the day. And that fluid moves from the legs to the neck when you lie down to sleep, making breathing very difficult. But staying active during the day, such as stretching, exercising, or even a short walk can help with the problem. It is unclear yet how much movement is needed and needs further studies. Posted: February 10th, 2009 under Health, Research. In its annual report on Canadian Health, the Heart and Stroke foundation found that there is a huge difference of prices for healthy food between cities, and within cities as well. The report looked at 66 communities across Canada between Oct. 15 and Oct. 25, 2008. An example of such difference is the following: one kilogram of lean ground beef was $13.21 in Ottawa, but only $4.14 in Barrie, Ont. In contrast, there was little variation in the cost of snack foods such as cookies, potato chips and pop that should be consumed in moderation. In addition to that, healthier foods were found to be more expensive. For instance, margarine with trans fats cost on average $2.79 compared with $3.29 for trans-fat-free margarine. A survey accompanying the report suggested that 47% of Canadians reported occasionally going without fresh fruit, vegetables, dairy products, whole grain products, meat or fish because of high cost. Healthy eating is a key factor in preventing heart disease. Posted: February 9th, 2009 under Health, News. Since many people used to ask me about the colored masks hung up in my apartment, I decided to give a quick explanation of their meaning. Bian Lian, in simplified Chinese 变脸, literally means Face Changing. It is an ancient Chinese art specific to the Sichuan Opera, in which performers wear bright colored costumes and masks, and quickly change their masks in a fraction of a second. It is incredibly fast to the extent that viewers cannot see how they do it. Some performers rapidly change their costumes as well. Surprisingly enough it’s not a one time act, but performers do it again and again and again. According to Wikipedia, Bian Lian began 300 years ago, during the reign of the Qing Dynasty Emperor Qianlong (1736-1795). The masks colors reflect a character’s mood such as red representing anger and black extreme fury. Bian Lian was first used in a story about a hero who stole from the rich to help the poor. When he was caught by feudal officials, he changed his face to puzzle them and escaped as a result. Only a select number of masters know how to perform this art, and the secret is only passed down through families and from master to apprentice. Since its inception, the art was forbidden to women, but recently women had been allowed to learn the technique and perform them publicly. Posted: February 9th, 2009 under Arts, Cultural. We are all aware that we spend a third of our life sleeping, which is the average of eight hours of sleep per day. But what if we can decrease the number of sleeping hours and thus increase the waking hours, and still operate with the same and even more mental alertness and energy level. We can then use the extra time to study, finish our work, learn a new musical instrument, and accomplish endless opportunities that we used to dream of doing only if we had more time. Is is possible to do that? The answer is yes. It’s called Polyphasic Sleep. I thought of introducing this concept since not too many people have heard of it. 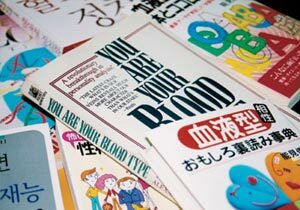 The term was first introduced in the early 20th century by the psychologist J.S. Szymanski. It refers to the practice of sleeping multiple times in a 24-hour period totaling an average of 3 hours of sleep per day. Most people are monophasic (having one block of sleep), while a big - yet decreasing - number of people are biphasic (having one block of sleep with an added nap). Hence, polyphasic sleeping occurs when people use multiple (more than two) ultra-short naps during the day. Polyphasic sleepers gain the most of their sleep time, while coming out from their naps in a highly alert state. 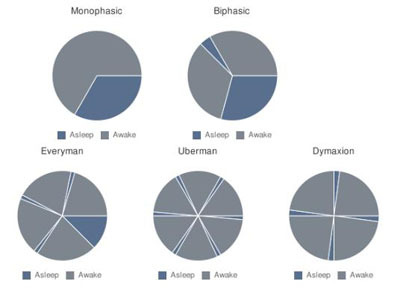 There are many patterns of polyphasic sleep such as Everyman, Uberman, and Dymaxion. They basically differ in the amount and duration of the naps. Everyman consists of a core nap of no more than 3 hours, with three short naps of 20 minutes. Uberman sleep consists of 20 minute naps every four hours, round the clock. Dymaxion pattern, which was advocated by the famous architect and inventor Richard Buckminster Fuller in the 1940s, consists of 30 minute naps every six hours, round the clock. There are claims that Da Vinci, Thomas Jefferson, and many others used to be polyphasic sleepers, but they lack documentation. With the recent introduction of Blogs into the internet, many people have started to log their experiments with polyphasic sleep. From those logs, a lot of people quit the first couple of days because they found it hard to adapt. But those who bypassed the adaptation period, which is usually from a week to a month, said that they became highly energetic and alert, and enjoyed it to the extent that they did’t want to go back to monophasic sleep. The only reason that made most of them quit was because the world uses the monophasic pattern, and it was hard for them to cooperate and work with other people. More information about this topic can be found on Wikipedia. An extensive log of a polyphasic sleeper can be found on Steve Pavlina’s blog. The archive article about Fuller’s Dymaxion Sleep, dating back from October 11th 1943, can be found on the Time Magazine website. An up-to-date list of current polyphasic sleepers can be found on Jorel’s blog. Posted: February 8th, 2009 under Knowledge. Eating fast will make the person overeat because it takes 20 minutes for the brain to register what the stomach contains. 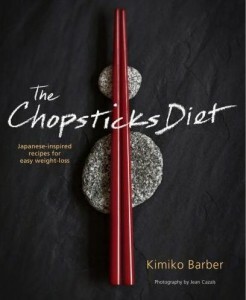 It’s harder for Westerners to eat with chopsticks; Therefore, when eating with chopsticks, it means taking smaller mouthfuls, which tend to get chewed better, slowing down the meal, and making it easier to digest. This brings up to my mind a brilliant money making idea! I should introduce to the Japanese a new book entitled “The Knife and Fork Diet”, claiming that eating with a knife and fork will help people lose weight. Posted: February 4th, 2009 under Arts, Health. When I first heard of this a couple of months ago, I did not pay much attention to it since it was brand new and not much testing has been done on it. But now, it is hitting the markets, and a lot of people are willing to pay a few thousand bucks for it. The Israeli company UltraShape has just introduced a new fat-busting technology that uses ultrasound to target fat cells and literally make them explode. The procedure does not involve surgery, and costs around a thousand dollars a session. Each session takes nearly an inch of fat. It is mostly intended for the extra fat (that people cannot remove with regular exercise), and not to remove large quantities of fat. It does not work on cellulite, but the company said they are working on it. It is now available in Canada, but is waiting for the FDA approval in the States. Posted: February 4th, 2009 under Health, News, Research. Bad breath happens when food breaks down in your mouth or on dentures and isn’t brushed away. You can clean it off by brushing your teeth and your tongue, but if the problem persists, it could be part of a much bigger dental or medical problem. Posted: February 3rd, 2009 under Health. Nowadays Yoga is becoming more and more popular. A growing number of people is learning it day after day. While there is much more to Yoga than just the physical fitness, it can still induce injuries if it’s not done right. So it’s important to take precautions to avoid getting hurt. Posted: February 3rd, 2009 under Activities, Health. When it comes to electronic music, every city has its own unique style, resident DJs, or clubs, but Montreal offers a different experience that transcends all this. Last weekend, I have assisted to Igloofest, a rave held in open air during the very peak of the Canadian Winter! With the temperature outside as low as -20 degrees Celsius, it cannot but be a lifetime experience. Co-produced by Quais du Vieux-Port and Piknic Électronik (the organizers of the weekly Summer rave at Parc Jean-Drapeau in Montreal), comes the special event Igloofest. It spans over three weekends, where DJs from Canada and around the world such as James Holden come heat up the crowd during the coldest period of the year. The style of music ranges from Funk, Deep House, to Minimal. Posted: February 2nd, 2009 under Arts.